Flatbed truck driving jobs are a little different than other lines of trucking. They’re a little more demanding and can be more hazardous. But on the other hand, these jobs usually pay more than average trucking jobs. 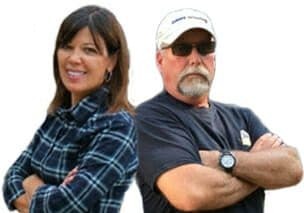 Many truckers feel that the risk is worth the reward. And if you’re a skilled and experienced driver, this may be just the challenge you’ve been looking for. Flatbed trucking is a type of trucking where you will haul over-sized or wide-load items. 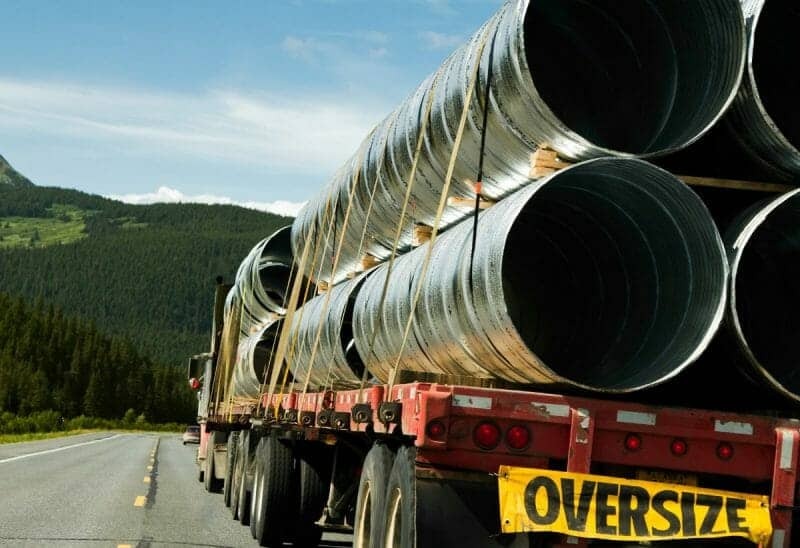 You might be transporting building supplies, like lumber, steel coils, shingles, and pipe. Or you could be hauling military vehicles, machinery, or even mobile homes. Basically, anything that can’t be hauled in an enclosed trailer because of its size or shape. It’s pretty common to see multiple trailer combinations in Canada and some states in the U.S., such as Michigan. Flatbed trailers are 53’ long x 102” wide. They’re built with strong aluminum frames and have wooden floors. The most common flatbeds have flat decks, but some have drop decks. They obviously are not enclosed with walls, but you can buy side rack kits, or walls with fixed canvas tarps. You can also buy curtain side trailer covers and curtain side self-supporting tarp systems. These roll forward or backwards on the trailer to easily cover your freight. Because you’re dealing with different types of freight with flatbed trucking, you’ll need a few particular skills you may have never thought of. Loading. Most of the time, your large freight will be loaded with forklifts or cranes, which won’t require much effort for you. 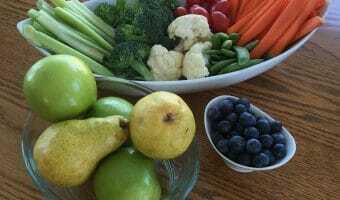 But depending on the type of freight it is, you may be required to help. And even if you’re not, the regulations and laws are so strict, that you’ll want to always make sure your freight is balanced correctly over the axles and loaded properly. Tarping. Tarping is another technique that requires some learned skill. Not all loads require tarps, but the ones that do must be covered a certain way. That’s where some of those canvas kits and tarp systems come in handy. Any covers you use have to be secured just as well as the freight. Imagine losing a giant tarp that lands on a vehicle behind you. It can be just as dangerous as losing cargo. 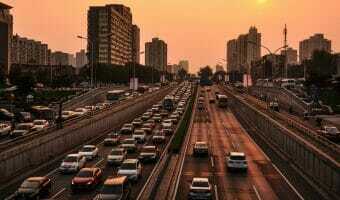 Flatbed truck drivers are in this line of the business for several reasons. Some of them strictly do it for the pay for a short period of time. But others prefer it to other trucking niches once they’ve gotten used to it. 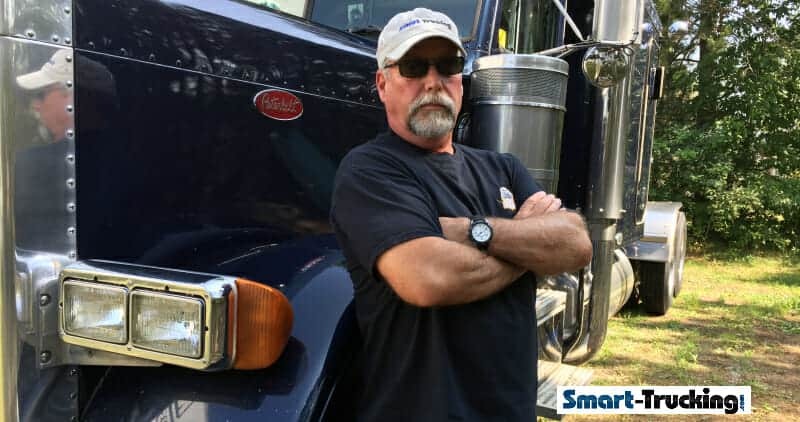 In this field, you’ll likely make more money over the span of your career than you would in other trucking jobs. But that’s not to say they ALL pay better. This obviously depends largely on the companies you sign with. But overall, because of the demand of the job, you’ll get better compensation. Flatbed trucking jobs are another top-paying trucking field, about right in line with reefer trucking. On average, you’re likely to make about $10-$15,000 more per year than other drivers, bringing in anywhere from $65,000 and up. 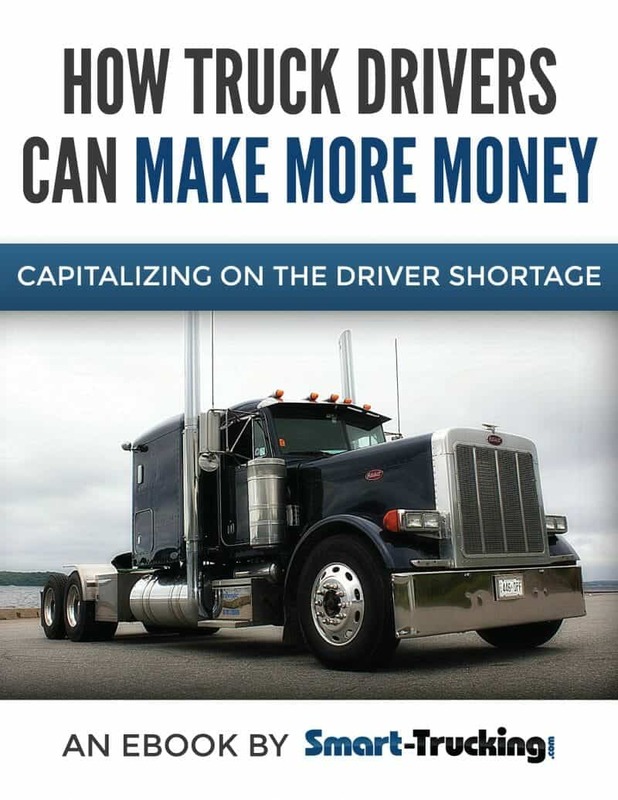 The trucking industry overall is suffering from a massive shortage, making it a high-demand skill. But it’s especially true with flatbed trucking. Because you’ll be able to haul such a wide variety of freight, this job will always be in demand. You can haul all sorts of things that won’t fit in enclosed trailers. I mentioned earlier that you’d likely be spending more time at home as a flatbed driver. But it’s not just because of the physically-demanding nature. It’s also because the loading process usually takes less time. Think about it — if you’re hauling two huge Army Hummers, how much time will it take to unload? And you’re probably only stopping at one location. On the other hand, with other types of trucking, you may be unloading 35 pallets at several different locations. As you probably know, when a niche in any job pays higher than others, there’s usually a reason. In this case, it’s a more demanding type of job in many ways. There are a few dangers that come with this type of trucking that don’t necessarily apply to others. For one thing, if you’re handling large freight and not having it loaded with machinery, it can be dangerous to work with and load. You’ll also usually be the one climbing on top of the freight to make sure it’s secured properly. This brings me to the next issue. If you fail to secure your freight correctly or if something goes wrong, you run the risk of some of it falling off during transport. 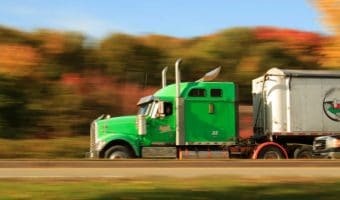 Depending on the type of freight it is, you could get seriously hurt and threaten the safety of other drivers on the road. Because of these dangers, there are much stricter regulations and laws concerning flatbed trucks. The United States Department of Transportation is the agency in the U.S. that’s responsible for publishing cargo securement rules. And Canada adheres to most of the same rules with very little exception. The entire purpose of the requirements is to make sure that your load is tied down without the risk of it loosening, becoming unstable, and falling off during transport. This includes monitoring load limits, using the right tie downs, trailer sizes, and weight limits. And ignorance of these rules will not get you off the hook with law enforcement officials, so it’s important to learn them well. It’s true flatbed trucking jobs are quite a bit more demanding than others. But the salary and increased time off make it worth it for a lot of people. 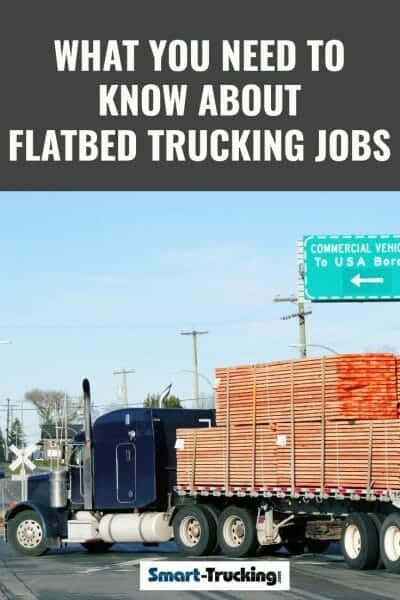 The good news is that flatbed skills are fairly easily learned and you’ll never have to worry about finding a job!